So, as most of you might have already spied over on my insta I've treated myself to two new dresses. One's bright, bright yellow and the other's a very classically cute 'Sarah-Rose dress' - navy ✔️ floral ✔️ fluted sleeves ✔️ They're both the total dream and I totally shouldn't have bought either - especially as summer's basically over. I therefore felt compelled to share them both with you on here as they're a little too good to just be Instagram exclusives, ha. 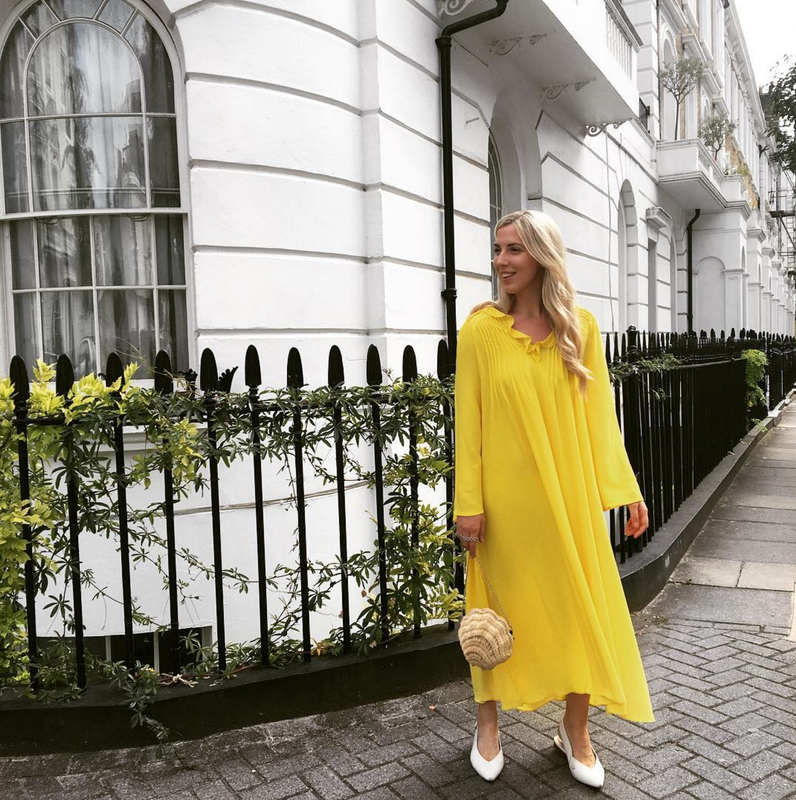 This bright, happy yellow style is the dream dress to soak up the remaining few sunny days in so even when the weather forecast isn't all that bright your wardrobe can be. Yellow has been this summer's happiest hue and can make even the grossest grey day feel a little less mellow. Whilst this would be a dream for any late summer wedding's it's also great option to wear into the office on a Monday to dissipate any Monday blues or a Friday to start the weekend early. As this dress is oh-so bright and fun I'd keep the accessories quite neutral, either opting for a cute straw bag and sling-backs or heeled sandals and an equally as bold cross body bag. Throw a mid-wash denim jacket over the top and pair with primary coloured earrings for maximum impact. 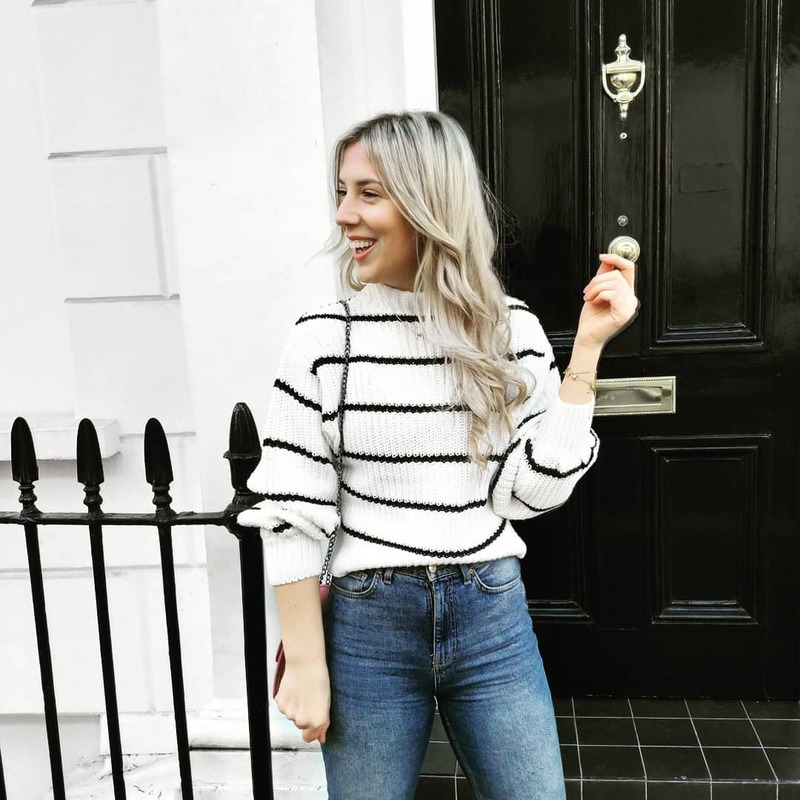 So, this dress has almost entirely earned it's cost per-wear back already as it's saved me on two occasions where I've had to attend work pitch meetings with advertising clients and my usual go-to of jeans and a tee hasn't quite seemed appropriate. Smart and sweet this lovely floral maxi is cute enough for a summer wedding yet stylish enough for a day date. I realllllly, really love it. Whilst dresses used to make up a vast majority of my wardrobe and weekday staples they'd rather fallen out of favour so I picked this up almost in spite of the recent me who would have purchased the top version of this dress (should it exist) and paired it with my go-to light wash jeans every-single-day. I'm so happy I opted for something that 17 and 22 year old me would have loved as it made 26 year old me remember how great a really great dress can make you feel. That yellow one is all sorts of dreamy! If I were going on holiday I'd buy it for sure.